Ask us about our Road Pilot lenses. 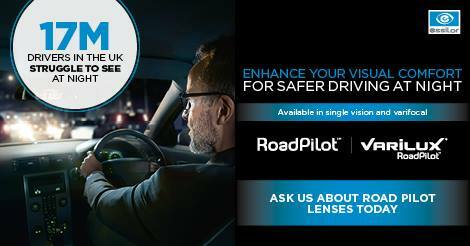 Road Pilot Lenses have been specially developed to enhance your vision when night driving. They typically provide up to 90% less reflections when driving at night.